If you’ve been in a car accident, you may find yourself facing additional new expenses and financial burdens. Accident survivors may have to shoulder new medical expenses, rehabilitation costs, and may even miss time at work. They may have to repair or replace a car that has been damaged or totaled. On top of all these new concerns, accident victims may also worry that their auto insurance rates will rise. Concern about auto insurance rate increases are legitimate, especially in Florida. According to the Palm Beach Post, Florida is among the top ten most expensive states for auto insurance. One of the main reasons why Florida’s auto insurance rates are so high is due to the fact that Florida requires individuals to have Personal Injury Protection insurance. This insurance pays for medical expenses for injuries sustained in an accident. It is difficult to predict if, or by how much your auto insurance may go up after you’ve been in an accident. But, it is important to understand that a personal injury claim could protect you from having to shoulder additional expenses and it can also help establish negligence in court. If you were not negligent in an accident, not only is the other driver responsible for expenses, but the likelihood that your insurance will significantly rise following the accident decreases. 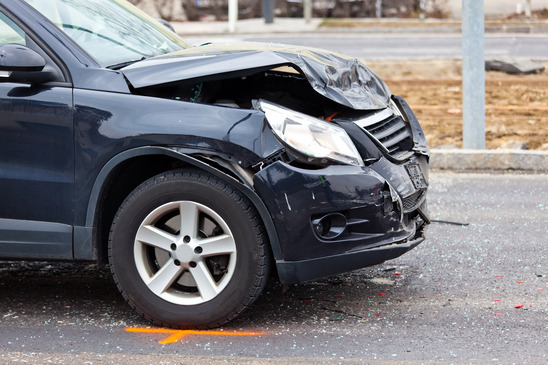 Whether your insurance goes up after an accident depends largely on complex algorithms used by insurance providers, which take into account everything from driving history, your location, credit history, and who was at fault in an accident if an accident has taken place. Whether your auto insurance goes up or stays the same has largely to do with who was at fault in an accident. Generally, the driver at fault pays for damages to the other driver’s car. The insurance of the at-fault driver receives the claim. The negligent driver is also responsible for paying medical expenses, rehabilitation expenses, and lost wages to any other drivers or passengers injured in an auto accident. Insurance coverage may handle some of these expenses, but not always all of them. According to CBS News, insurance rates can rise by 41% after just one claim. For this reason, it is important to fight for your rights if you feel that you were not negligent after an accident. If another driver is claiming you were at fault when you were not negligent, taking your case to court could help protect your reputation and your insurance premiums. Finding a car accident lawyer in Miami who can fight for your case, collect proper evidence, and file all proper paperwork can sometimes make a big difference in the outcome of a case. The good news is that if an accident wasn’t your fault, you won’t likely be affected by premium changes. The Wolfson Law Firm, L.L.P. in Miami, Florida can assist you in navigating the legal processes that must be followed after a car accident takes place. We can help you understand your policy, your rights, and protect you if you’ve been in an accident.